Upgrading your OEM intake system on your Nissan 370Z or Infiniti G37 with the K&N Typhoon Intake is the easiest performance modification you can make for the most power. See gains up to 14.2 hp and 13.3 lb/ft torque to the wheels with this easy to install air intake from K&N. 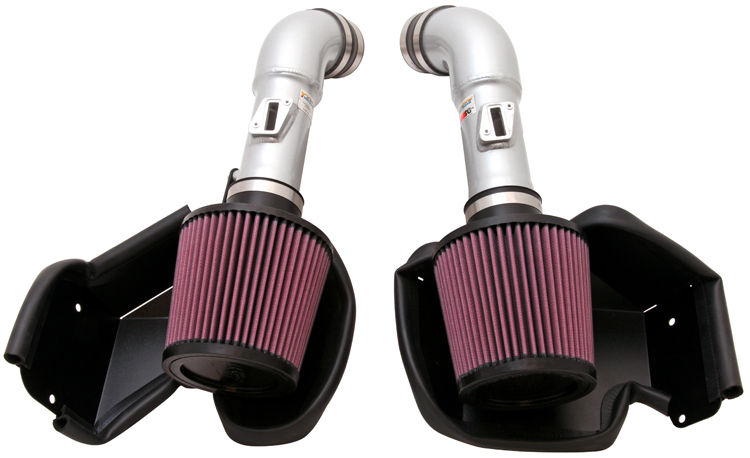 If you crave more power for your Nissan 370Z or Infiniti G37, you need the K&N Typhoon Air Intake. You will see gains up to 14.2hp and 13.3 lb/ft torque to the wheels. The Typhoon Air Intake from K&N replaces the OEM intake system with a more efficient, free flowing intake system that draws in cooler air to your engine. Installing a cold air intake is one of the easiest performance modifications you can make to your car. It is usually the first step car enthusiasts take to add more power to their cars. The air filters on the K&N Typhoon Air Intake are specially designed by K&N to ensure maximum airflow and durability. The air filters from K&N are guaranteed to last the life of the car, and you never have to replace the filters since they are washable and reusable. All of K&N air filters come with their Million Mile Limited Warranty.